and ask yourself, WHY HAS THIS BEEN DONE? Obviously to muddy the waters, that is a super professional photoshop hack, we all know what the real photo is supposed to look like and this was obviously done in response to people discussing the flag, and having the window arrangement match flight 370 exactly. They HAD TO release a photo showing a window where there was none in the original crash scene, to muddy the waters and just “PROVE” this is MH17. 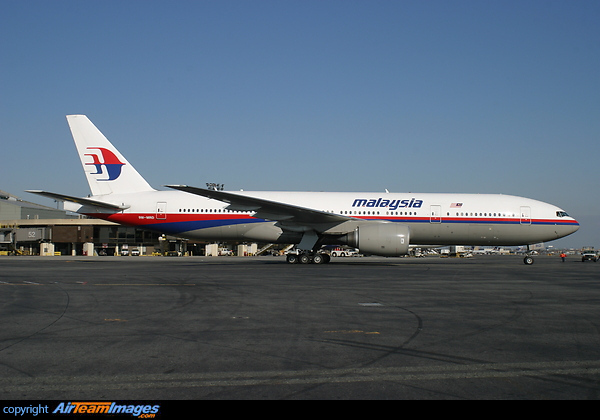 Notice the flag is cropped out, because it is the smoking gun that proves this is flight 370. FOR THE RECORD, THIS IS THE ORIGINAL PHOTO BELOW, WHY THIS NEW HACK JOB? THAT ALONE IS A SMOKING GUN, AND PROOF OF JUST HOW GOOD THEY CAN FAKE IT and that they ABSOLUTELY WILL FAKE IT. Following your articles on the Flag and sealed up window. Seems a lot of photoshopping is in progress regarding 370, 17 etc. But this little gem turned up in an Australian edition of the Age newspaper. Think you might like it. Notice they cut out the flag in this picture. Yep, this confirms it – they are going to BURY the fact this was flight 370 by destroying all forensic value of the crash scene and releasing really good photoshopped “reality” to replace what is out there telling the truth right now. NEVER FORGET WHAT THAT WRECKAGE LOOKED LIKE TO BEGIN WITH, the punched out or photoshopped in window port to match the most popular photos of MH17 in conjunction with the cropping out of the flag says it all – they intend to BURY THIS, DO NOT LET THEM GET AWAY WITH IT. They have no intentions at all of being honest with this, and the fake is so spectacularly well done it is absolutely mind blowing. My response: Without question, Putin had nothing to do with this shoot down, and being from Ukraine you would obviously have a better perspective than the European media is reporting. I have no doubt this shoot down had three motives, two of which were 1. The frame up of Putin as a villain over BRICS, and 2. to provide cover for the destruction of Gaza, which people are telling me is as severe as I suspected (total annihilation). With Gaza, remember that there is now a Jewish section that they can put on the press, say it is Gaza and say LOOK! IT IS STILL STANDING while the rest is leveled. And if any war with Russia breaks out over this shoot down, I find it difficult to believe that YES I will have to stand with Putin on that one, (Figure the odds of a cold war American EVER saying that) but it would in this case be the correct thing to do. America and Europe have really fallen that far politically. 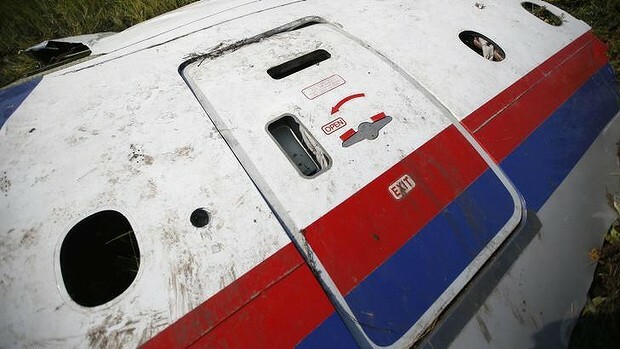 In the latest photo you posted, you show MH17 with a blanked window. Why? And, It is obvious the flag position is that of MH370 when you go through the wreckage photos, but I am confused about why MH17 has a blanked window on your site now and also WHY images of flight 370 which show the flag position are now gone from those sites. Do you know what happened to the originals? Mh17 went through three different appearances over time, the latest of which made it match flight 370 except for the location of the flag. The flag location is what I am talking about, flight 370 had the flag in a different position from ALL appearance versions of MH17, it was much farther back, as if an error had been made with the placement of the flag on flight 370, and THAT is the detail that went missing for this shoot down/flight 370 disposal psy op. Once this flag anomaly was discovered by others, and after I picked it up, legitimate photos of flight 370 started vanishing, being replaced with flags exactly matching MH17. It is an easy task to have a few photo experts use NSA provided processor back doors to get into systems and modify the damning photos, when there were only five or so on the web to begin with that really showed this anomaly well. And it is interesting indeed that the originals are no longer out there to be had, not on ANY web site even those such as planespotters which were known to have had them. It looks like you found one I never saw that makes it perfectly clear, and you definitely found another wreckage photo that shows it plain as day, I will try to get that posted when I am online with my own computer. The last couple of days your site has started shutting down after about a minute or so. Today it is crazy, maybe every 10-15 seconds. Interesting how quickly they get on to erasing evidence – I managed to check out the flag/window line up in short bursts. The thing for me is that, if you were wrong about the windows because you’re a crazy delusional in need of medical help, then the pictures would stay as they are. However, somebody felt the need to change them, and if there was nothing to hide then why would they do that? When we were all talking about the fact that there was no plume of smoke descending out of the sky from the downed aircraft, the day after there it was. Of course if it was a one off occurance you’d be thinking, oh I must have missed that somehow, but when every query to every inconsistency finds ready evidence available a day or two after it starts to feel like The Truman Show, and we’re ALL on it. I know you’ve been telling us this from day one so please forgive those of us like myself who have not personally bumped into the glass ceiling and still have a hard time getting their heads around the appalling reality. Thanks for all your hard work. My response It is standard procedure now for “them” to edit photos, videos, and anything else they find inconvenient when people discover the truth, this is one of the primary objectives of the NSA now. Their data center in Utah has this as a primary purpose, it is obvious this is true because after it went online, I cannot even keep photos on my own web site from getting messed with. This is made possible for them with back doors into operating systems and processors, and is a good reason to shut the NSA down. The NSA is supposed to protect WE THE PEOPLE, and not be used as a tool for destroying the truth. Glad to see you caught on! Next is flight MH17. Notice the flag position, and ALSO, that MH17 has an extra window on this side of the aircraft, TOTALLY BUSTING THE OFFICIAL STORY. As earlier stated, my look into the illegal immigrant children story has now begun, and will continue for approximately 2 weeks as I travel mexico to bust the children on trains story and find out how they are actually coming up to America. Now it is being said that a Dutch doctor who was at the scene within a day has released testimony that the bodies on the plane were rotten and dead days before the crash, which would corroborate what the military commander said and that evidence is there that they were also tortured before the crash. However, the translation from Dutch is very poor and I am working on secondary confirmation. The Mexican press did a very detailed piece about the dead bodies, showing them being loaded on the train in body bags, AND MORE IMPORTANTLY, HOW BAD THEY SMELLED, with absolutely everyone at the scene gagging from the stench including robust military types and doctors. It was surreal, I have never seen anything like that regarding bodies from any disaster. There is no way that kind of rot could have set in in such a short time unless the bodies were indeed dead long before the shoot down. GAZA Last night Mexican television did a huge segment on Gaza. In some scenes nothing identifiable is left, with only a barren lanscape of destroyed concrete and collapsed buildings all the way to the horizon (as far as the camera could see). It looks like Israel did the big dirty under the cover of “flight 370MH17,” which was a heinous zio crime all by itself. The number of dead listed is laughable, it has to be tens or hundreds of thousands. There is no way out of this, but I am certain that when all is said and done, the ziopress will firmly re-enforce the solid concrete fact that fewer than 50 people died, just like they did at Jenin and the Mexican press is reporting that Gaza is a war crime and it is all Israel’s fault.